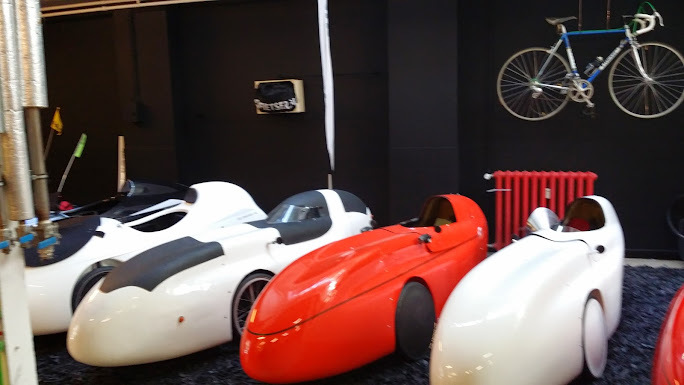 Two older WAWs for sale, proudly posing in our revamped showroom. More info at the sales page. Yes the black leather carpet was begging for a matte black backdrop. In the background a very rare racing bike owned by Francesco Moser himself. On the left hand in the wood crate: our proprietary "velomobile garage".